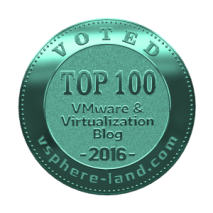 In Part 1, vSphere 6.0 Replication – Installation, we successfully deployed the vSphere Replication OVA to both the main and DR sites. In part 2, we will configure the sites, and replicate a VM. First, log out and back into the vSphere web client, to ensure the vSphere Replication plugin is working properly. The Replication link should be listed in the navigator bar on the left. 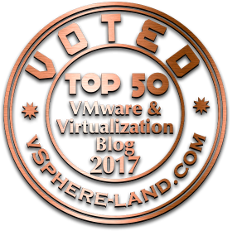 We will navigate there, and select our vCenter server and click manage. Next, click the button to connect to a target site, and enter the information requested. In our lab, the Platform Services Controller is the dr-vCenter server, as we didn’t split out any roles. 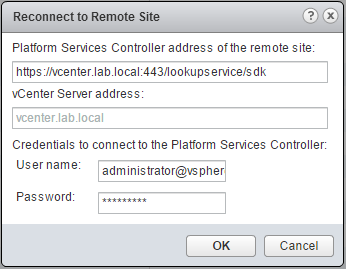 Once you click log in, your vCenter server should be listed. Click OK, and let the magic happen behind the scenes, as the two sites are joined and paired up for replication. Once the task is complete, you should see the DR site listed and showing a status of connected. At this point, we need to log into the DR-vCenter server, and manage the vSphere replication to finish connecting the sites. 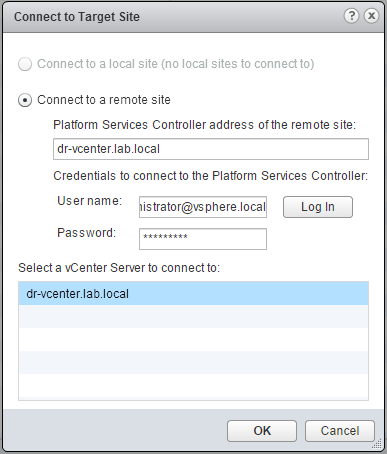 The DR-vCenter server requires the credentials of the primary site in order to be fully connected. Select the primary site’s vCenter server and choose Reconnect Site. 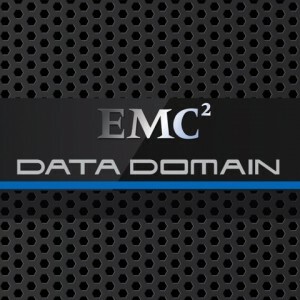 Enter the primary Platform Services Controller credentials to finish the site pairing. 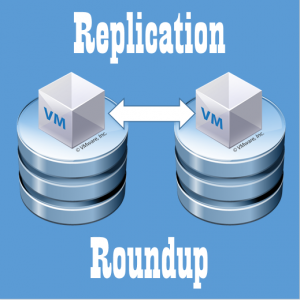 Congratulations, the sites are now connected and configured, and ready for VMs to be replicated, which we will cover in part 3, vSphere 6.0 Replication – VM Replication.